Black Friday is undisputedly big business for retailers, with UK online sales topping £1 billion for the first time in 2015. And email advertising was the single biggest channel driver of Black Friday online sales, generating a massive 25.1%, or £251 million, according to a report by Custora. 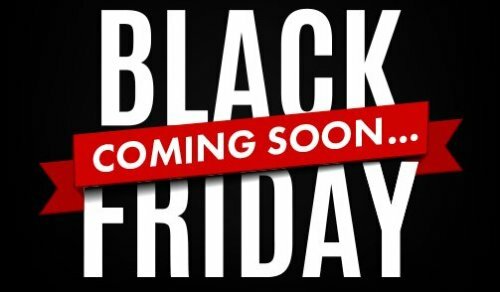 Given that Black Friday UK online sales increased 35% in 2015, and that 2016 is widely predicted to see even greater growth, email looks set to drive an estimated £338 million UK online sales on Black Friday, 25th November 2016. Not a figure advertisers would want to ignore. We believe email is the top performer on Black Friday for three very simple reasons; firstly, people are more receptive to brands who understand how to communicate with them on their own terms, and as a non-interruptive yet frequently used channel, email fits the bill best – in fact numerous studies put email as top preferred channel for marketing messages by over 70% of consumers. Secondly, email consistently delivers more bang for advertisers’ marketing buck, with click through rates an average 80 higher than search, display and social. And thirdly, email can now be integrated with other digital channels for programmatic media buying. And the email format brings its own unique advantages for the advertiser, as there are multiple variables that can be adjusted and optimised to affect results. By switching up subject line, email design, and content strategy, advertisers can see incredible uplift from campaign to campaign. It’s particularly useful to understand how to maximise uplift during the short window of opportunity around key retail dates. We broadcast approximately 2 million emails a day on behalf of our clients, and frequently analyse the data from our email sends to understand what works and what doesn’t. Since subject lines are an advertiser’s first and foremost opportunity to engage consumers, for the purposes of this article, we have focused on what impact using different subject line strategies has on open rates. Taking a representative 2016 sample of 243 client campaigns we sent to 85 million consumers, we analysed the data in terms of the three subject line strategies most relevant to Black Friday; a “price led” subject line strategy, a “sale” subject line strategy, and a “time-sensitive” subject line strategy. Interestingly, if you introduce a “percentage off” or “end date” to a “sale” subject line strategy, this impacts open rate significantly, increasing uplift from 3.99% for a generic “sale” subject line, to 6.93% and 6.67% respectively. So there are a couple of brief key learnings we can take from our analysis of subject line data to apply to Black Friday email strategy. Firstly, deploying a relevant and proven high-performing subject line strategy around key retail dates can have a massive direct impact on sales. Using a “time-sensitive” offer for example, could drive 66,000 opens from a hypothetical campaign send of 250,000 emails, versus an average 50,000 (or 20%) who would have opened the email without introducing this offer. This is a difference of an additional 16,000 opens per send. Looking at what impact this could have on sales, if we work on a hypothetical conversion rate of 2% (which is at the conservative end of the widely accepted email conversion rate range of 2-12%), this would drive an extra 320 conversions per send of 250,000 emails. This represents a potentially enormous conversion increase rate per campaign, by simply switching up a single element of your campaign. Simple but effective, when you know how. Secondly, if you want to further optimise performance, be specific with your subject line strategies. Concrete pricing, end date, and percentage off offers perform best, versus more generic “sale” subject line offers. The email advertising industry is a growing industry with a CAGR of 20% for good reason, and more advertisers are waking up to the potential of email to supercharge customer acquisition using multiple strategies around key retail dates, and well beyond.